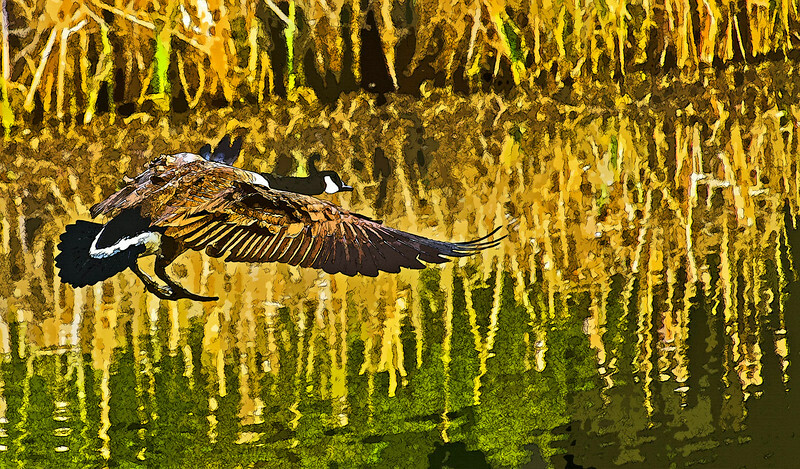 Today’s digital photographs offer much more than just the initial image they capture. 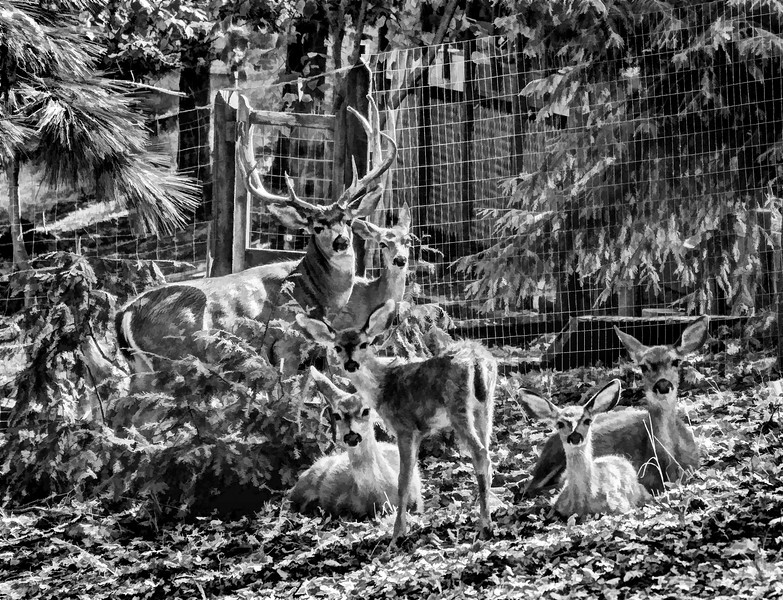 In the digital darkroom the possibilities are endless and photographs represent just the beginning of what an image can become. 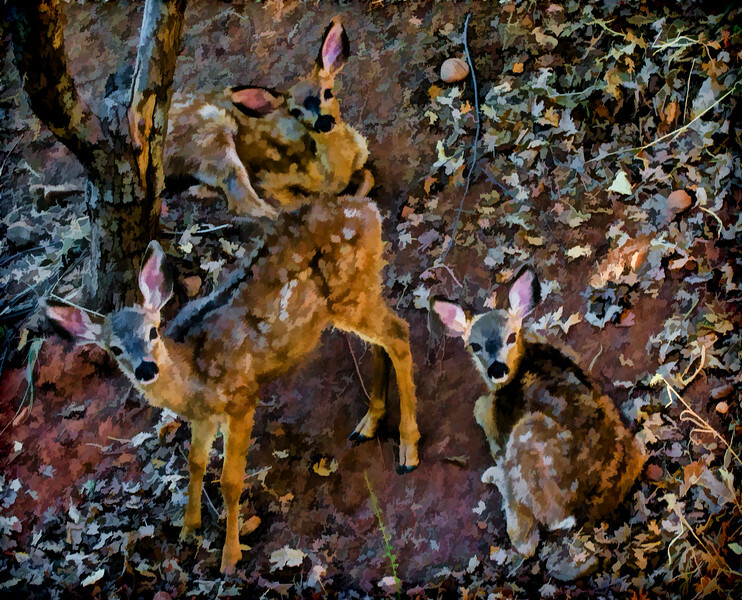 Often after I take a photograph, I process them through a series of my own customized digital presets that transform the photographic image into all forms of art – watercolor, line drawings, paintings and anything else I can do or think of with color, shape and digital’s boundless form and dimension. 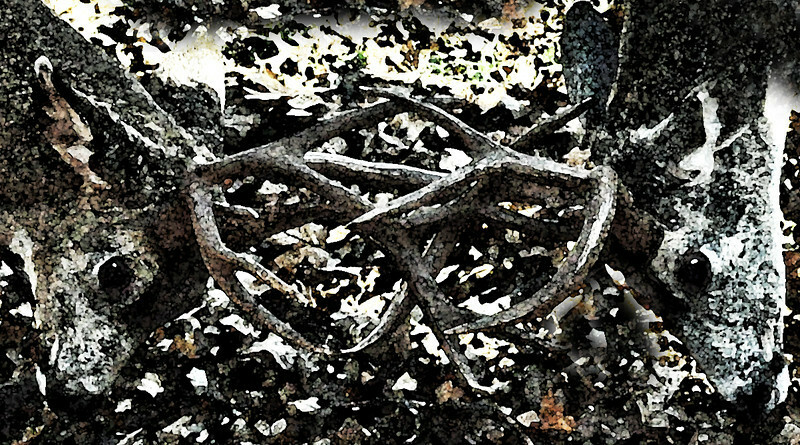 The results often reveal an image reborn in a new an unforeseen way - with a charm and appeal all their own. They lend themselves to uses ranging from framed wall art to greeting cards. 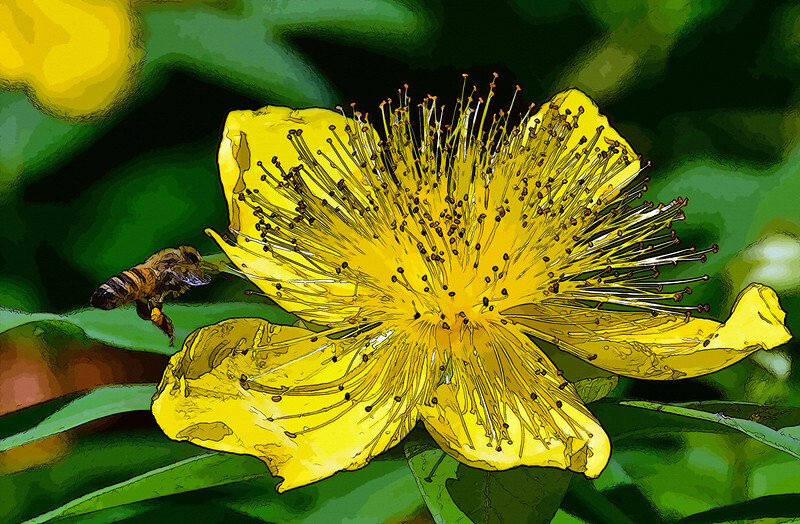 Sometimes a caption or a simple word adds a dimension that tells a story, makes us laugh or compliments the image to reveal messages implied but not spoken. 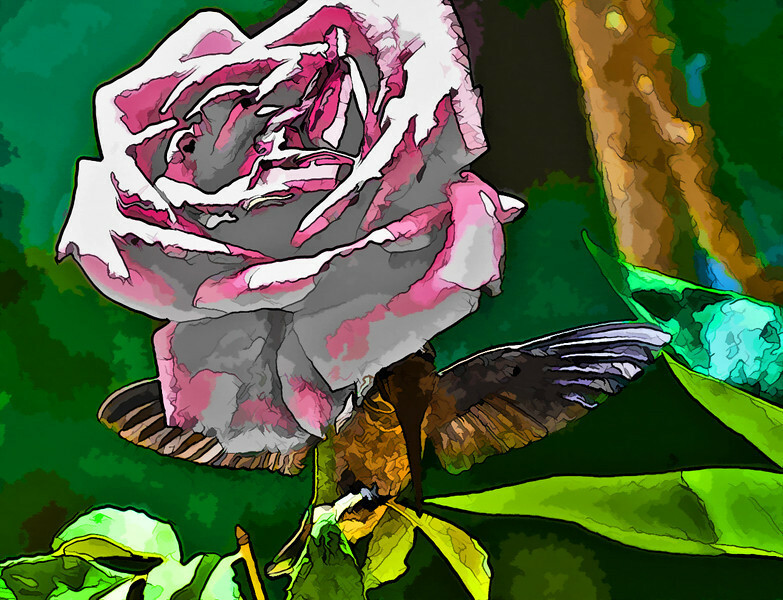 Please explore this photo-art – images from photographs – and see what you think. 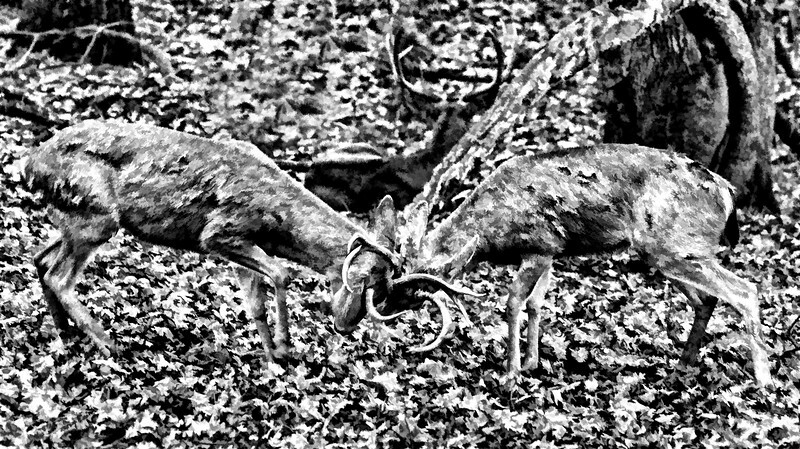 Buck Series - two bucks discussing their position in the hierarchy. Commercial - Equestrian Folder: a horse sublimely submits to a gentle request and comforting touch of its trainer to lay in complete repose - a less than natural position for a horse. 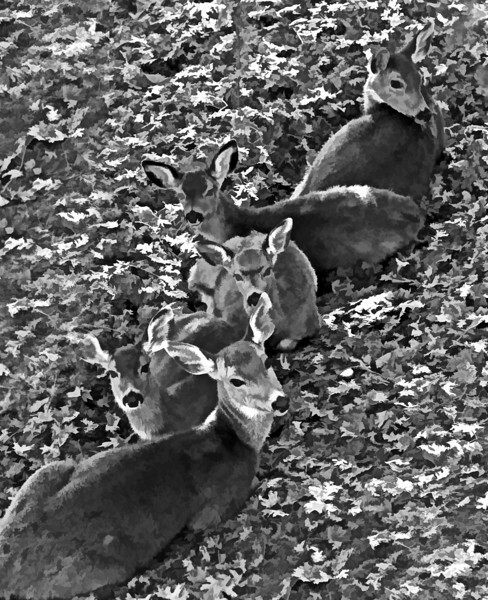 Photo-Art Folder: a mature buck stands alertly as several does and their fawns relax in his presence. 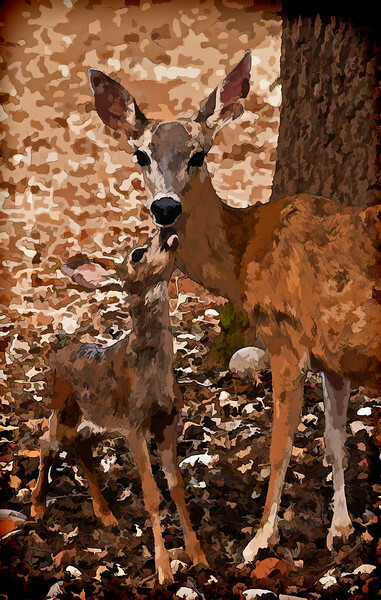 Photo-art Folder - Camouflage Series: two young buck tangle with furious determination while a mature buck, his back to the action, apparently could care less. 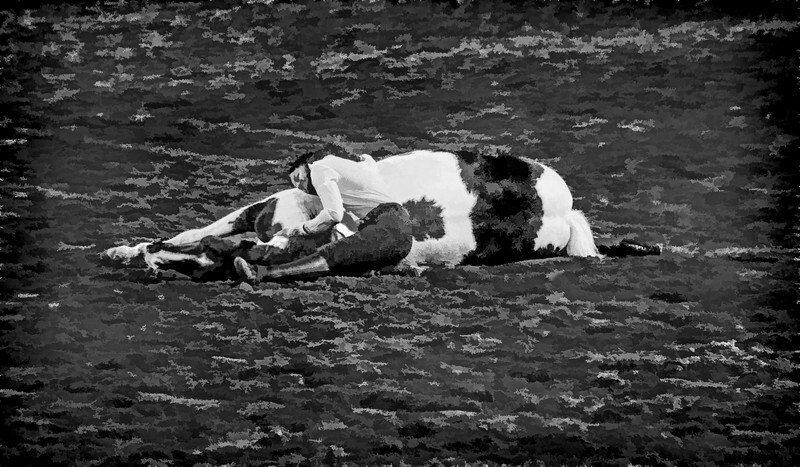 Photo-Art Folder: a horse sublimely submits to a gentle request and comforting touch of its trainer to lay in complete repose - a less than natural position for a horse. 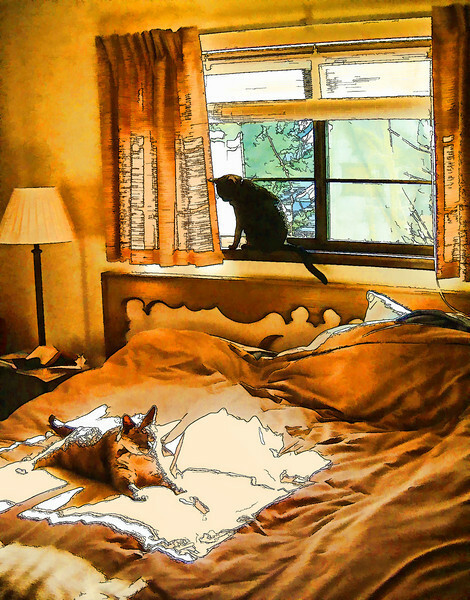 Greeting Card Photo-Art: Coco and Shadow taking in the rays without leaving the bedroom. 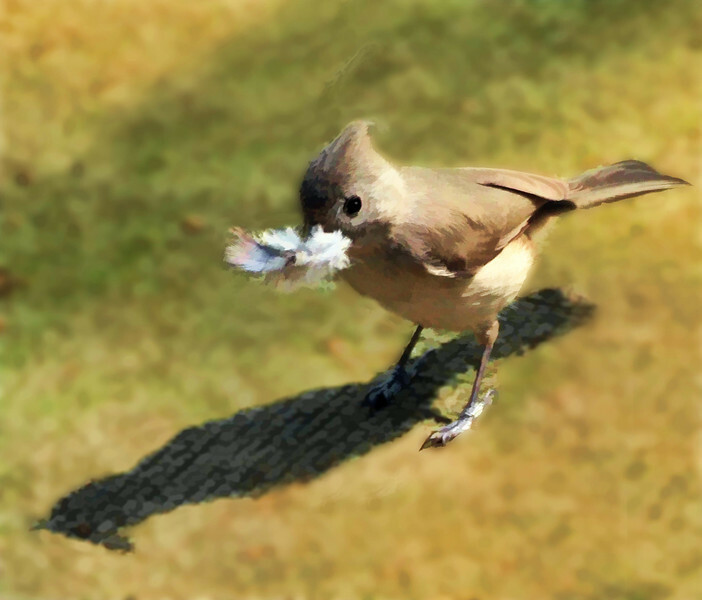 Photo-Art Folder - a titmouse, casting a long shadow, gathers feathers for a nest with all the intent of a committed architect. 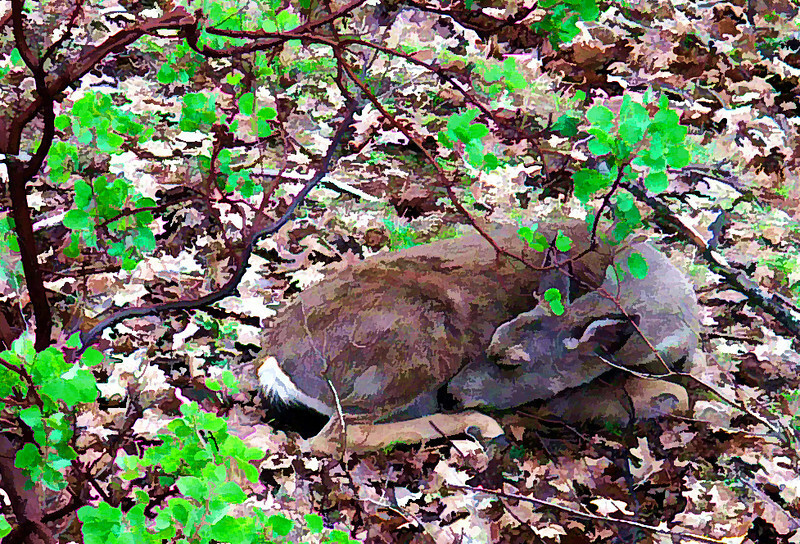 Doe Series - a first year fawn looks for attention from a vigilant mother doe. 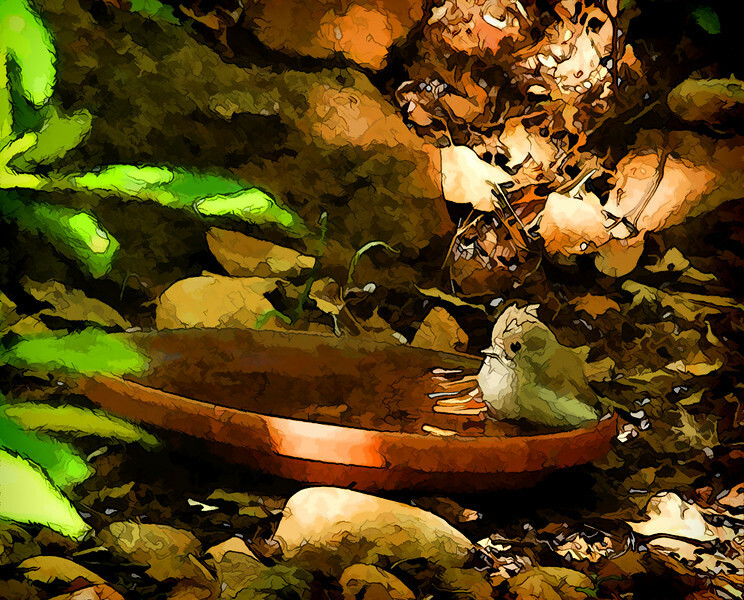 Photo-Art - a newborn titmouse finds a quiet , cool spot on a hot day in the shadows and the water left in a discarded clay basin. 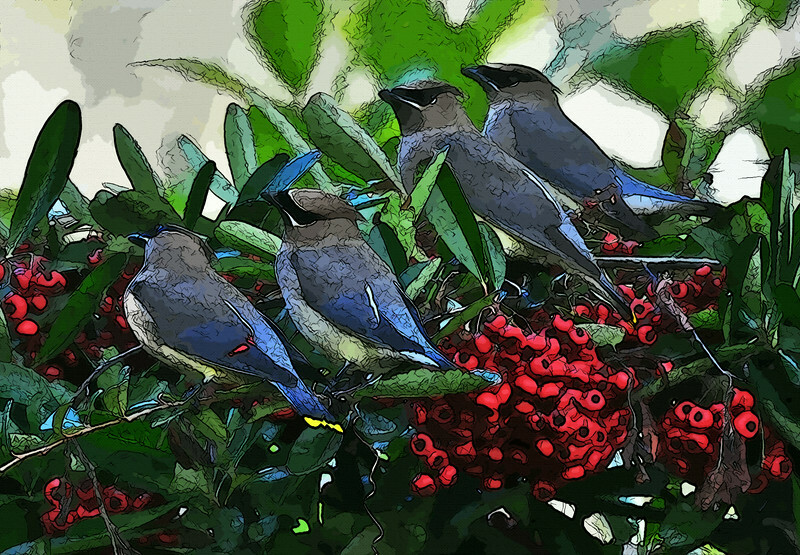 Photo-Art Folder - every year that the berreies of our pyracantha bushes ripen, flocks of robins, joined by beautiful cedar waxwings, come and gorge on the berries. 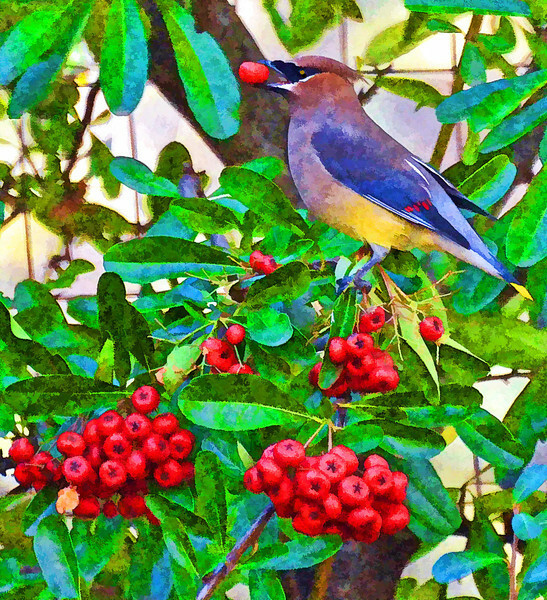 Here a waxwing pauses for a second to hold the berry in its beak before swallowing it whole. 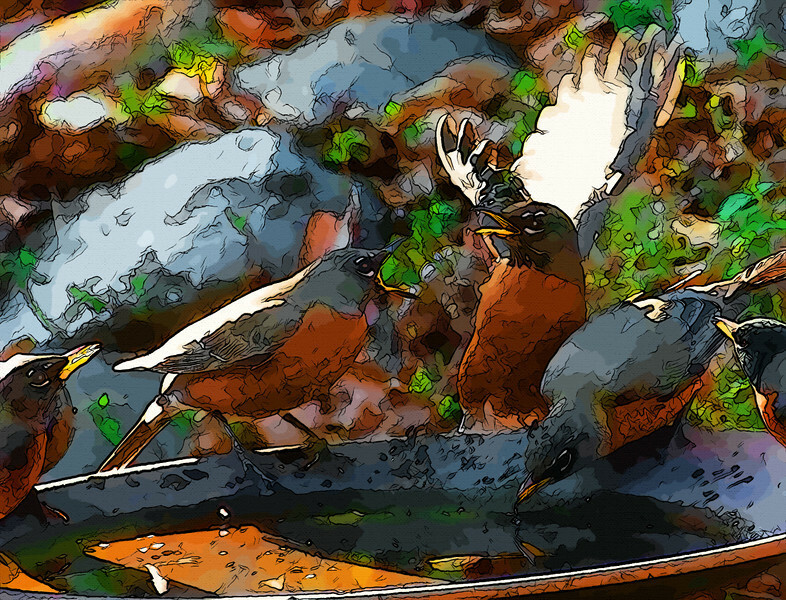 Greeting Card Photo-Art: Robin Series - Robins gather at our front yard fountain seemingly intent on some mutual priority. 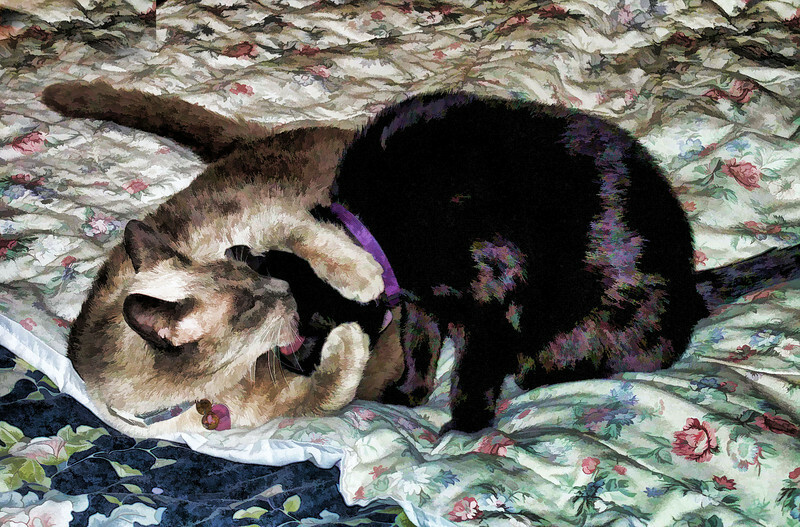 Photo-Art - when Coco first met Shadow it took a full year before he would stay in the room. But due to Shadow's benign persistence and inherent charrm, they are now clearly best of friends. 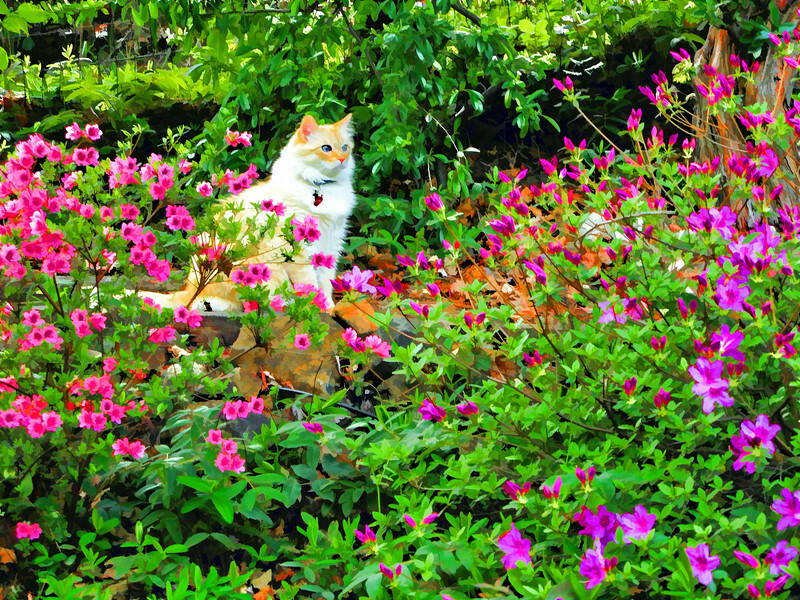 Lucca Series - Lucca loved the garden and seems mezmerized by something only a cat can see among the azaleas. I Only Have Eyes for You. 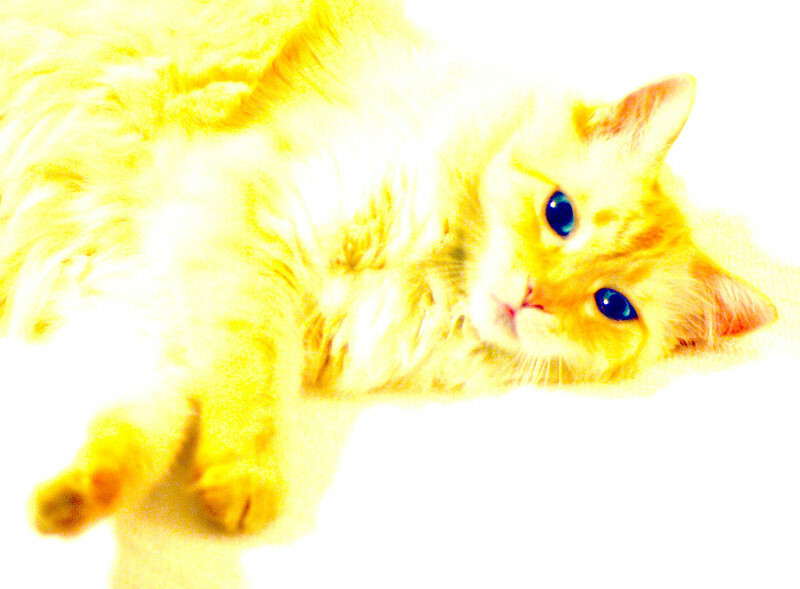 Photo- Art - Lucca Series - A $3 shelter cat, Lucca remains one of the sweetest cats we have ever known. He was nothing but love and purrs his whole life. The best value purchase we've ever had. 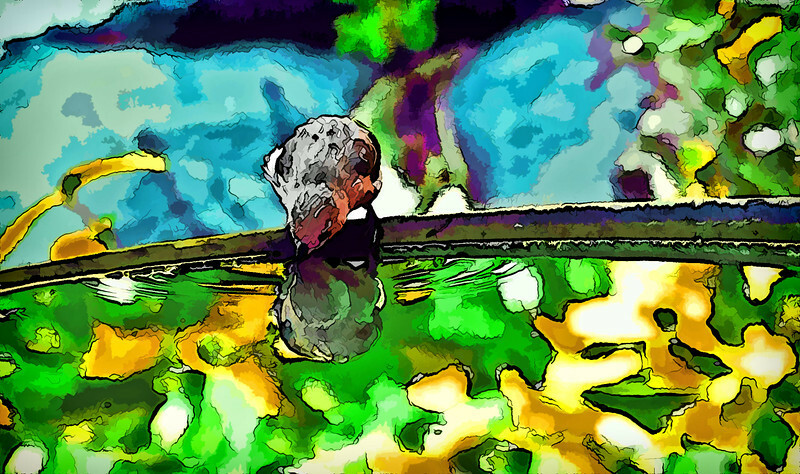 Titmouse Series - a longe. 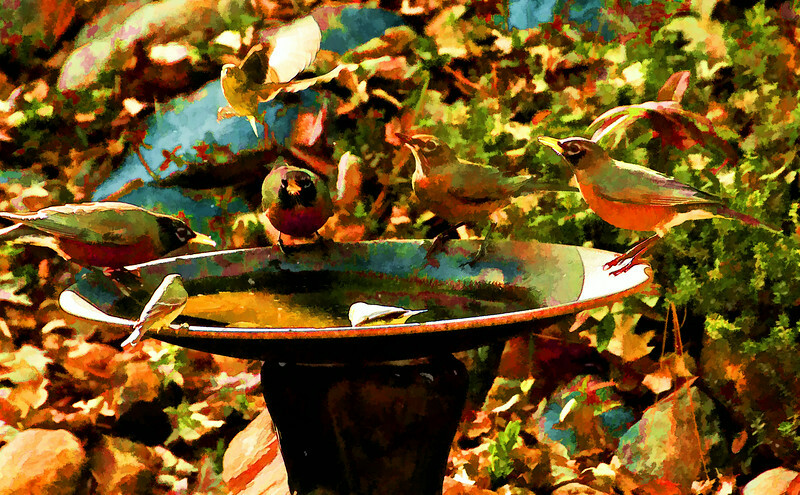 fledgeling titmouse drinks at the fountain. 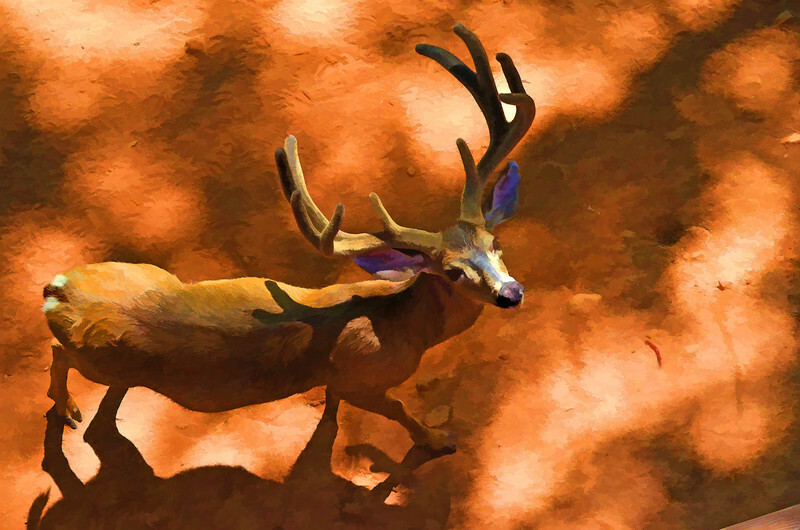 The Photo-To-Art Series - a mature buck with imposing antlers - still in velvet stage - blends in beautifully with the filtering shadows and light of the afternoon. 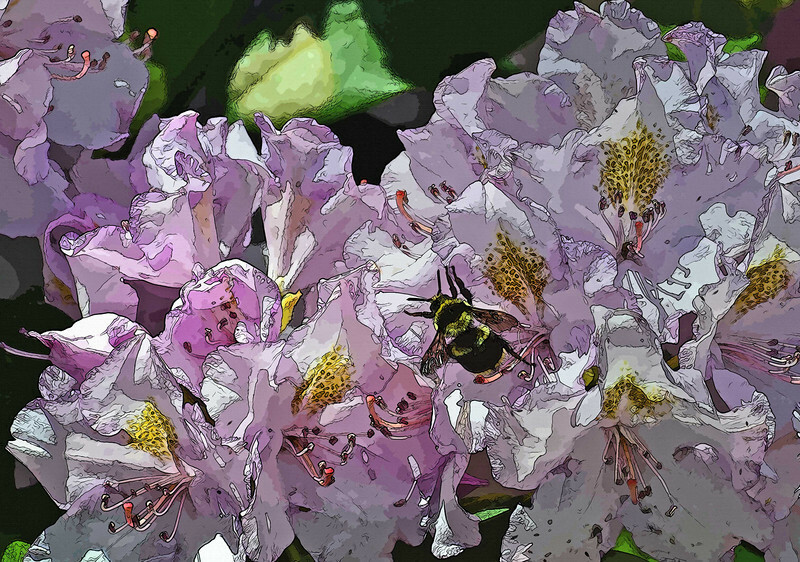 Photo-Art Folder - chrysanthemums in full bloom attract an enthusiastic visitor. 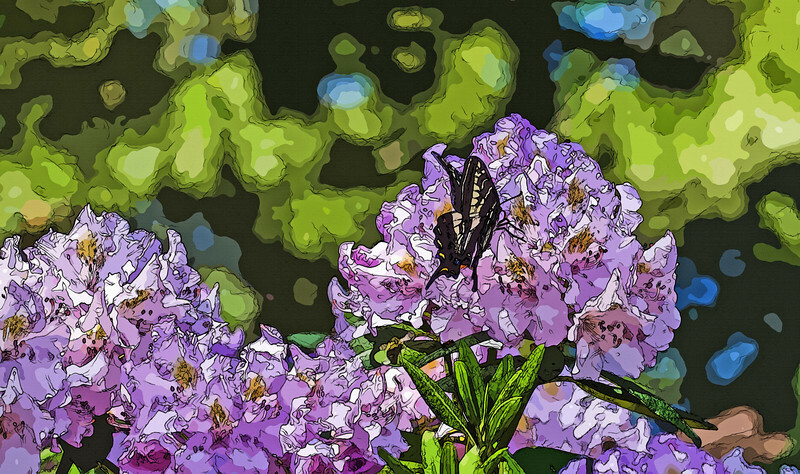 Photo-Art Folder - a Painted Lady butterfly cannot resist the full bloom of the compelling chrysanthemum. 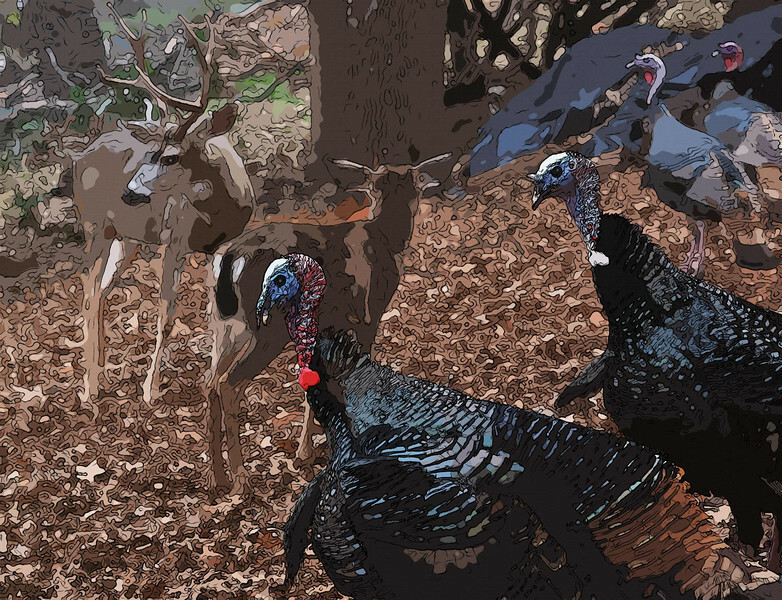 Photo-Art - when turkeys meet deer there is usually not too much interaction but on this day there appeared to be a local point of focus that they shared in common. 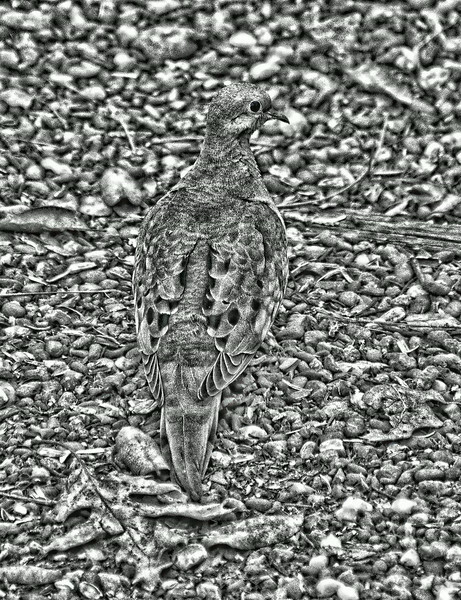 it turned out to be a screaching hawk unsuccessfully trying to capture a squirrel. Do You Know Where Your Friends Are. 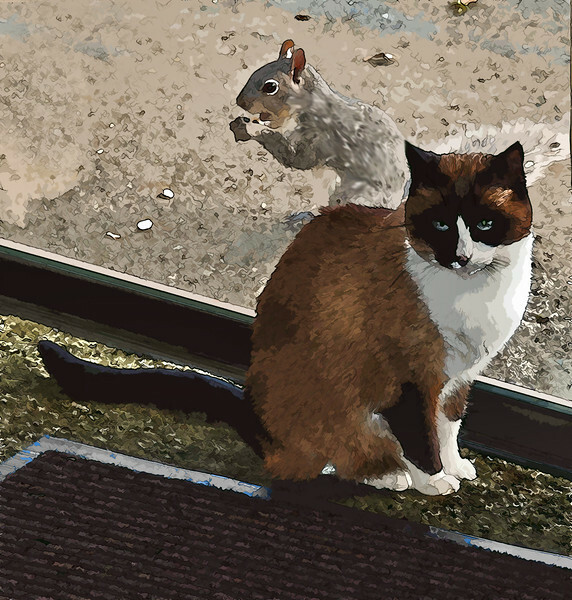 Photo-Art Folder - Daisy is oblivious to what would normally be an instant chase - the hungry grey squirrel behind her. 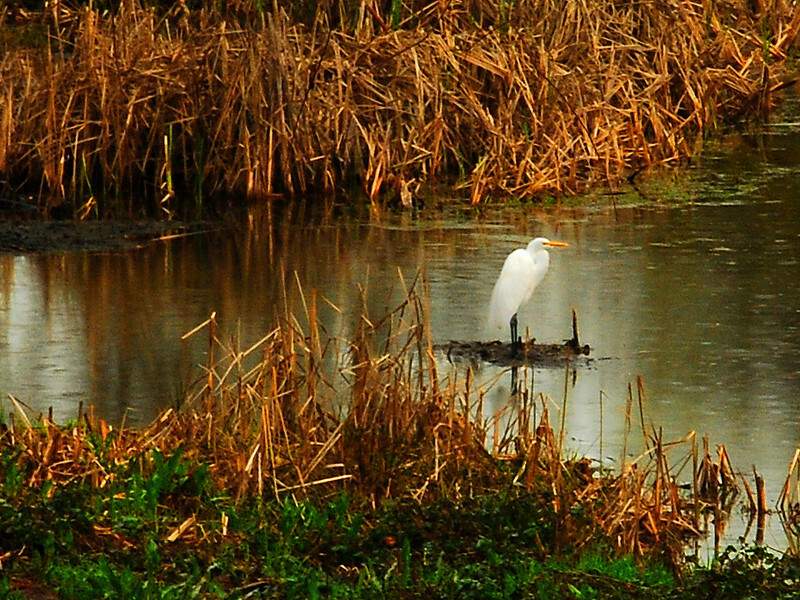 Wildlife Folder - a grreat white sits contemplatively on small island in a small pond. 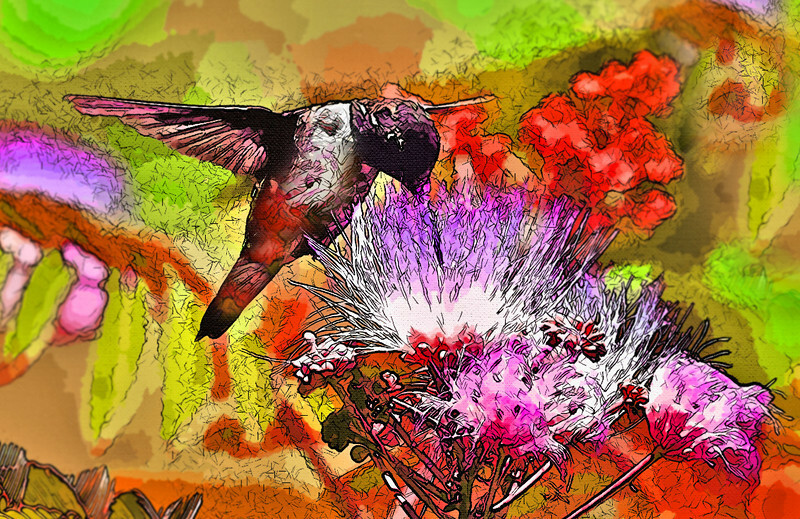 Photo-Art Folder - a anna hummingbird visits a milk thistle bloom in a world of color and texture. 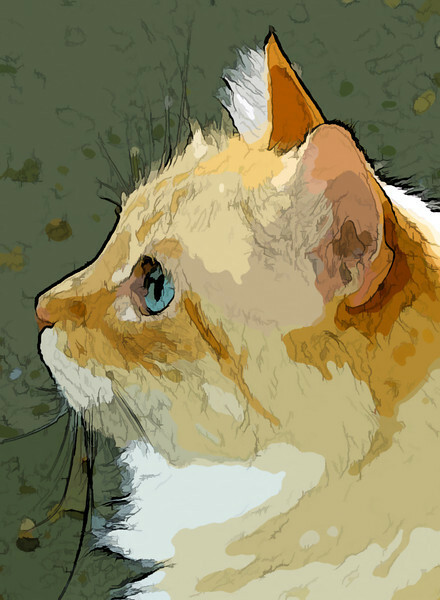 Photo-Art - Lucca Series - Lucca will go down as one of the sweetest cats who ever lived. 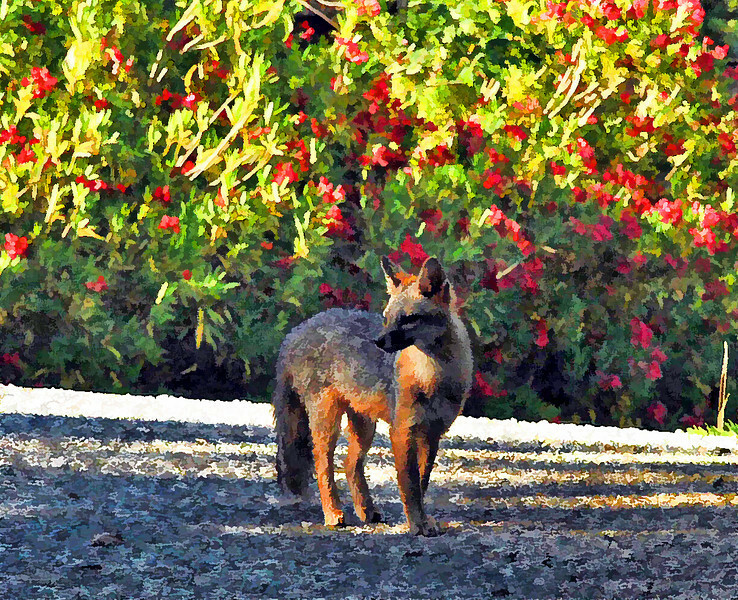 This simple image conveys his natural charm. 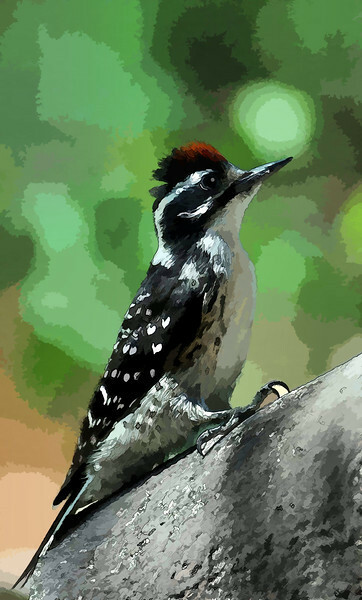 Photo-Art - a fast moving male nuttall woodpecker with his red cap rests for a minute allowing me record his image and celebrate it in an artful form. 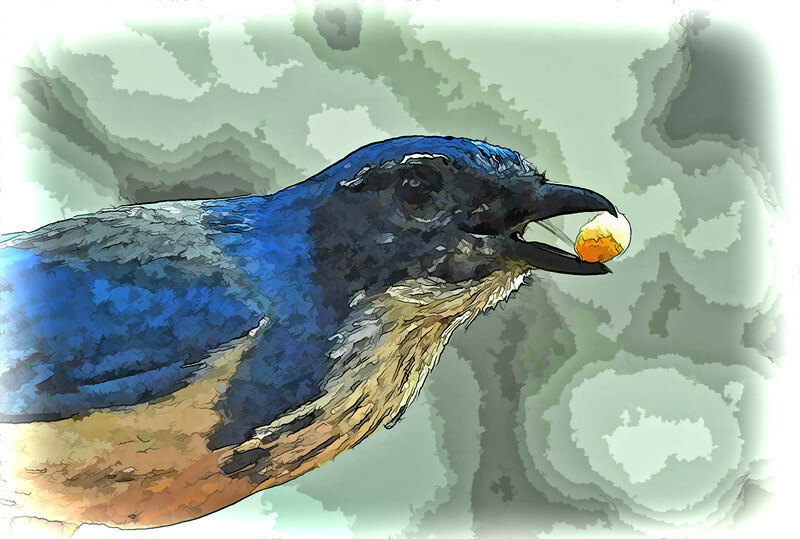 Photo-Art Folder - scrub jay's are notoriously loud and energetic feathered deliquents. 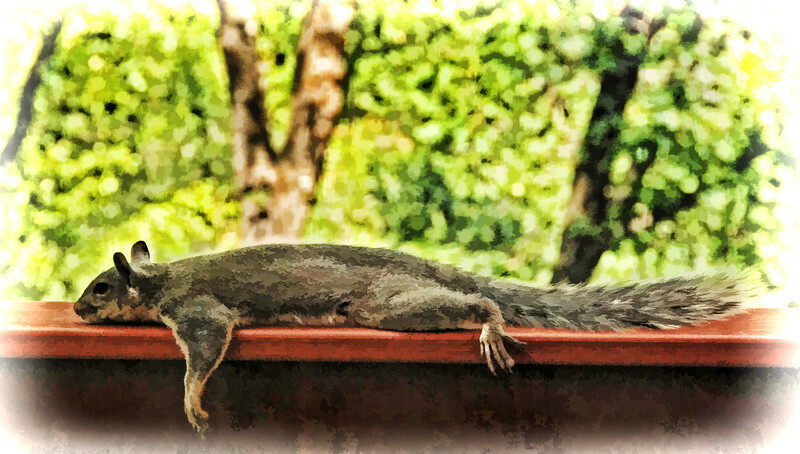 This fellow proudly displays a nut before flying away with his prize. 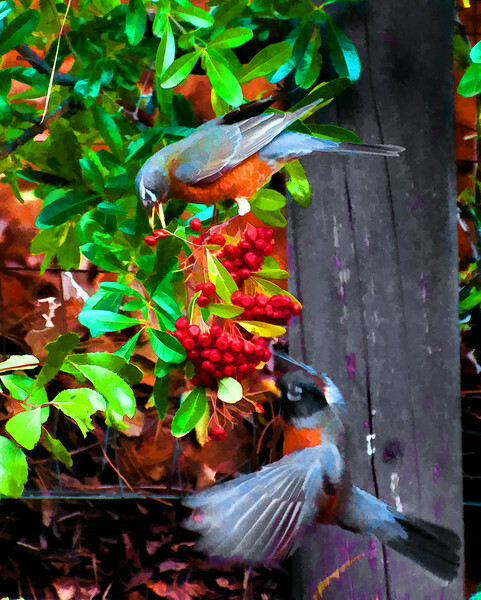 Photo-Art - Robin Series: every fall robins gather in great numbers to feast on our ripening pyracantha berries. 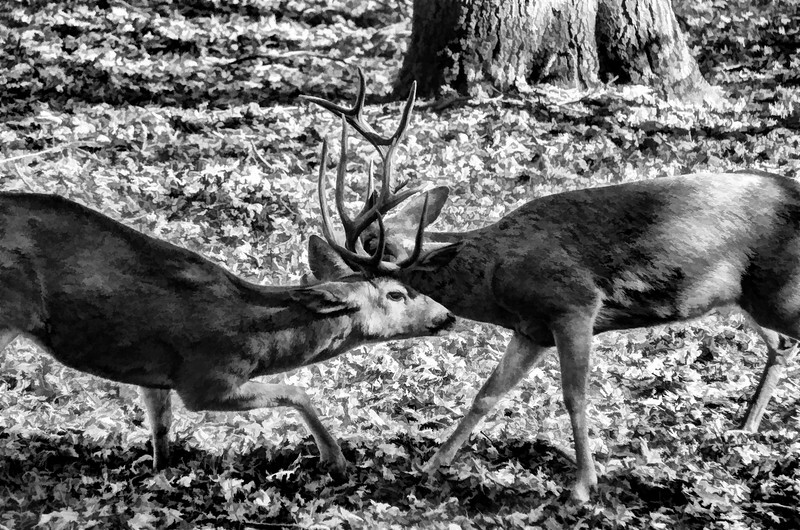 In numbers, disagrements about turf florish as is evident in this debate at the fountain. 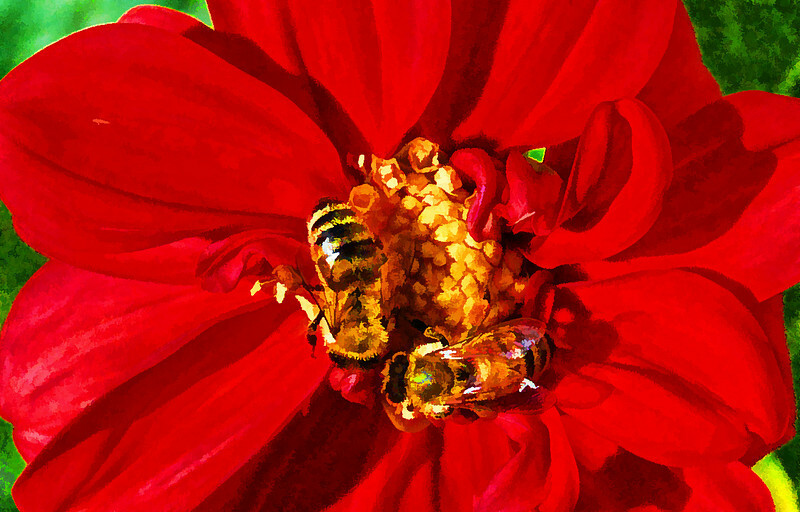 Photo-Art - an active pair of honey bees voraciously collect the pollen of a chrysanthemum. 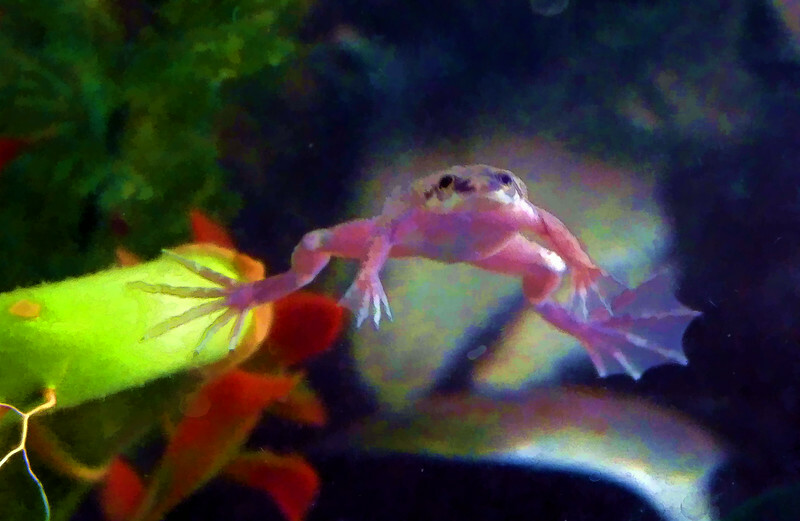 Photo Art Folder: African Dwarf Frog looks at you looking at him. 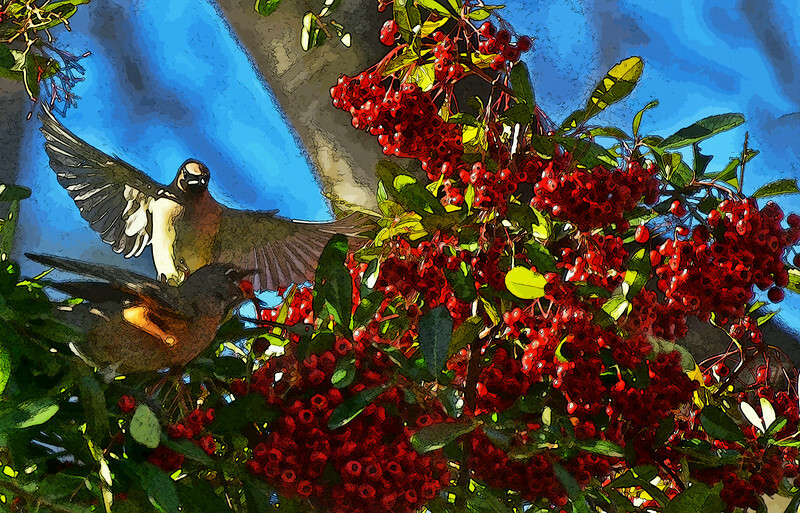 Photo-Art Folder: a cedar waxwing intimidates a robin who already has the prize in his mouth. 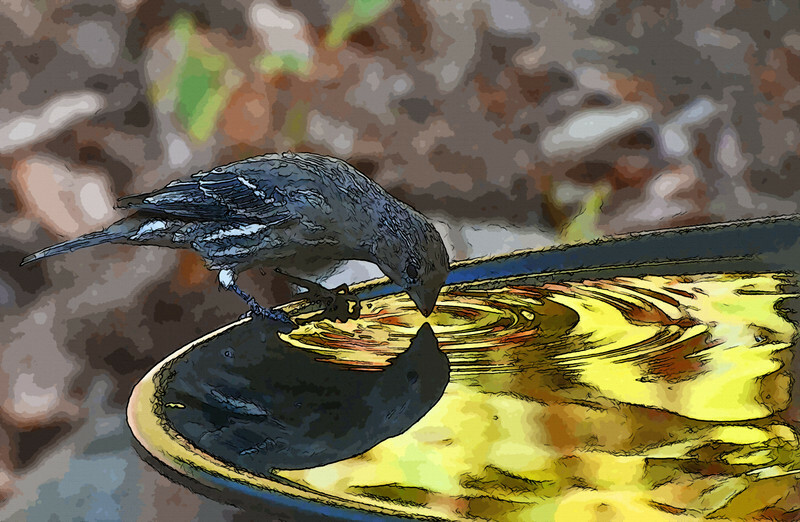 Photo-Art Folder: a lone finch ponders its own reflection as it collects a drink from the fountain. 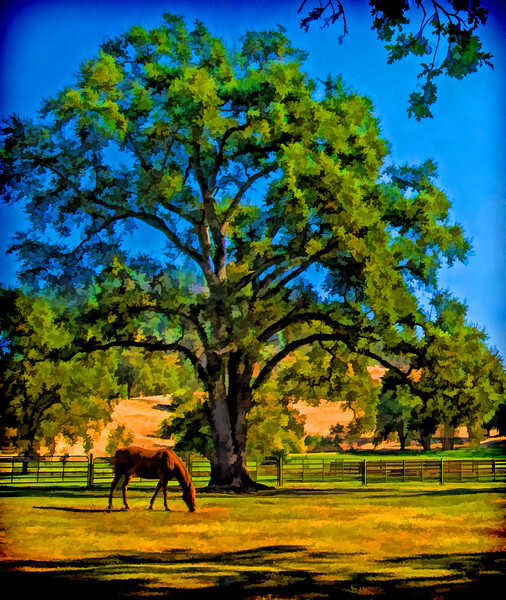 Commercial - Equestrian Folder: this photo-art captures and lazy afternoon scene in the rural California foothills. 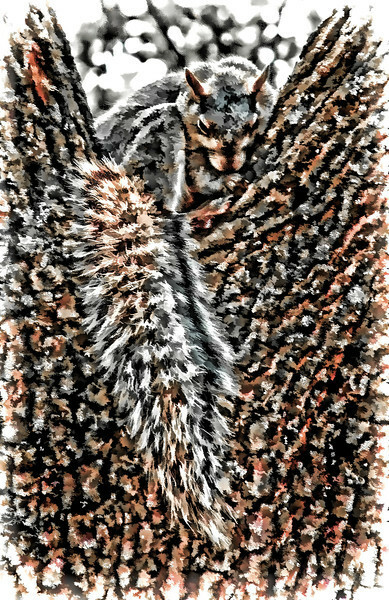 Photo-Art - Peter Ouspensky, a Russian esotericist, believed the patterns of the oak tree mirrored aspects of the fourth dimension. 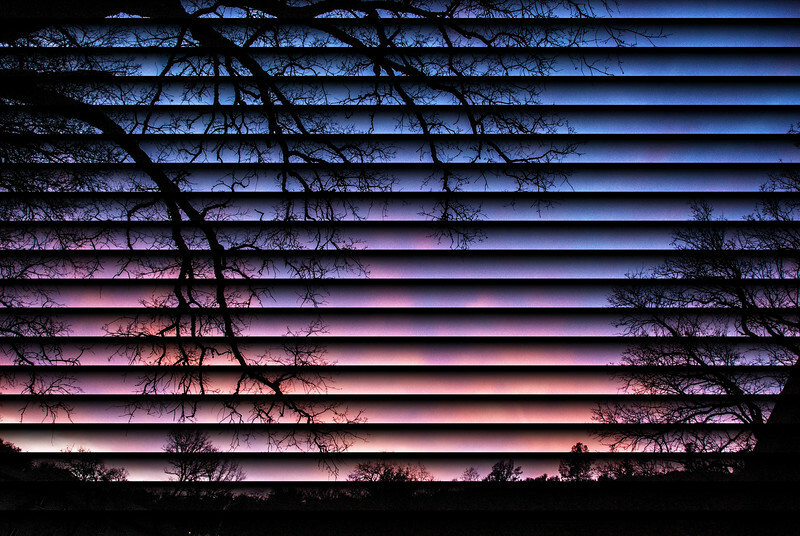 Their inherent beauty is futher emphasized aganst the horizonal outline of our bedroom blinds.